Santa Monica is a beachfront city in Los Angeles County. It became a resort town by the early 20th century and is still a resort town today. The city has a plethora of attractions to choose from. You can chill at the beach, take a ride on the Marvin Braude Bike Trail, or go surfing and paddleboarding. 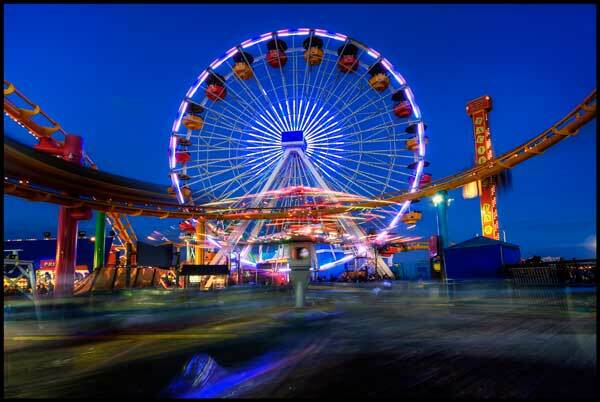 The Santa Monica Pier is a must-see attraction in the city, with its iconic red and yellow Ferris wheel. Pacific Park, located on the pier, is the city's amusement park, equipped with Ferris Wheel, rides, arcades, restaurants, and more. Santa Monica is full of shopping, culture, and nightlife. You deserve to relax, visit Santa Monica. 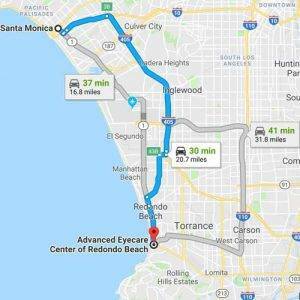 A comprehensive eye exam at Advanced EyeCare Center includes a number of tests and procedures to examine and evaluate the health of your eyes and the quality of your vision. These tests range from simple ones, like having you read an eye chart, to complex tests, such as using a high-powered lens to examine the health of the tissues inside of your eyes. 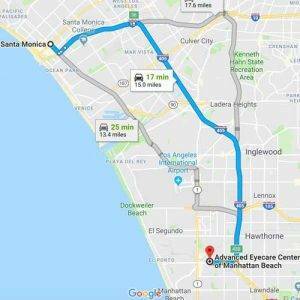 The Dry Eye Center At Advanced Eye Care Center uses the most advanced diagnostic equipment and tools to quickly and accurately pinpoint the cause and type of dry eye problem you’re suffering from. We don’t just throw any old drops at you either. We provide custom, tailored treatment plans designed to maximize the relief of your dry eye symptoms. Thousands of people who suffer vision loss as a result of various corneal conditions (listed below) can now see clearly once again through scleral lenses. Those who couldn’t wear contact lenses due to eye conditions or discomfort are able to correct their vision safely & successfully.